June 15, 2015 - The U.S. Department of Transportation (DOT) today finalized its decision to permit Delta Air Lines to retain its authority to provide daily service between Seattle, Washington and Tokyo’s downtown Haneda Airport, but subject to conditions designed to ensure that Delta maintains a daily service in the Seattle market year-round. Today’s action makes final DOT’s tentative decision of March 27, 2015. In deciding to let Delta keep the route, DOT was guided by its desire to preserve the benefits of Seattle-Haneda service that had prompted its initial award of the route to Delta. These benefits include nonstop Haneda service from an important U.S. gateway and improved service options for travelers in western cities who could conveniently connect in Seattle. Delta had put the realization of these benefits in jeopardy when it virtually abandoned the Seattle-Haneda route last winter by operating service approximately only one week every 90 days between October 2014 and late-March 2015. That led the Department to conduct this proceeding to decide whether to let Delta keep the route or to instead award this Haneda authority to a different carrier ready to more fully use it, even if from a different U.S. gateway. Besides Delta, American Airlines applied for Los Angeles-Haneda authority and Hawaiian Airlines applied for Kona, Hawaii-Haneda authority. Several factors influenced DOT’s decision to allow Delta to retain the route. Notably, in the proceeding, Delta made an unequivocal commitment to restore a full pattern of daily Seattle-Haneda service and to continue that service year-round. Delta also presented evidence of expanded operations in Seattle, strengthening that commitment and the economic feasibility of the promised daily service. Still, given Delta’s past conduct with the Haneda authority, DOT felt that further measures were needed to ensure that Seattle gateway passengers are able to realize the benefits that DOT sought and that Delta promised to deliver. Therefore, DOT imposed a condition that any failure by Delta (absent DOT authorization) to operate any Seattle-Haneda flight, year-round, in either direction, would constitute a violation of its authority. Additionally, any failure by Delta (absent DOT authorization) to perform Seattle-Haneda service on two days of any seven-day period would mean the immediate loss of Delta’s authority. 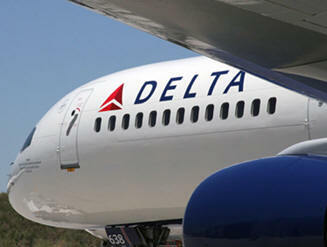 DOT made clear that Delta could always seek relief from the condition when safety or other operational factors arose. However, DOT also made clear that if Delta decided not to provide its promised year-round daily service for commercial considerations alone, which had apparently led Delta to reduce service in the past, this would not be accepted as a legitimate basis for relief from the condition. DOT wanted the promised public benefits of Seattle-Haneda service to be fully realized by the Seattle community, and this meant Delta must actually provide the service it had proposed. Consistent with its desire to ensure full use of the Haneda rights, DOT also finalized its tentative selection of American Airlines’ Los Angeles-Haneda proposal as a backup to Delta’s award. American’s authority would become effective should Delta fail to meet its requirements for serving the Seattle market.